The Mizo National Front (MNF) party is mulling to introduce a new Bill seeking prohibition of sales of liquor in Mizoram. The new Bill is planned to be introduced in the upcoming budget session in March this year. Mizoram excise and narcotics minister K Beichhua said that a new legislation will be passed in the upcoming budget session to replace the Mizoram Liquor (Prohibition & Control) or MLPC Act 2014 and impose total prohibition in the state, according to reports. He said that Mizoram had earlier declared prolonged dry days as a prelude to prohibition which was quashed by the Gauhati High Court following the petition filed by liquor vendors and warehouse dealers. He also added that though the government is desirous of observing dry days, it has to respect the court order. Citing that drugs and alcohol have killed many young people and rendered many women as ‘widows’, the minister vowed that the government would not remain idle to curb the menace. He also called upon the people to extend support to the government in its fight against drugs and alcohol in the state. The MLPC Act, introduced by Lal Thanhawla-led Congress government came into force in January 2015 replacing the 18-year-old total prohibition law. The first wine shop was opened in the state in March 2015. The MNF had made a pre-poll promise that it will re-impose prohibition in the state if it comes to power. Soon after assuming power, Zoramthanga-led MNF government closed down nine liquor shops run by government agencies. As a prelude to prohibition, the state cabinet had on December 18 declared dry days from December 21 to January 14, which was again extended till March 10 in another council of minister meeting on January 10. 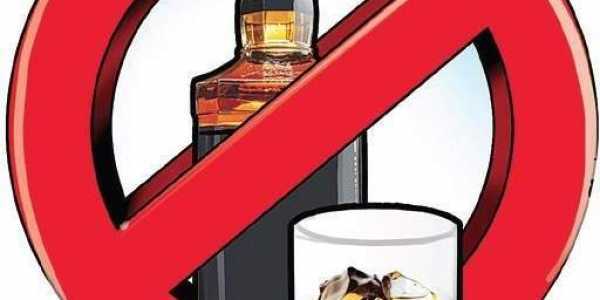 However, the order of the state government banning sales of liquor was put aside by the Aizawl bench of Gauhati High court recently following petitions submitted by liquor vendors and owners of bonded warehouses. The sitting judge, Justice Michael Zothankhuma, found the orders of the commissioner of excise and narcotics department declaring the ‘dry days’ for an extended period as ‘arbitrary’ and ordered the state government to allow warehouse dealers to import liquor and the vendors to sell branded liquor as per the validity of their licence. The licence of vendors and warehouse dealers expires on March 31. Following the high court order, more than 30 privately-run wine shops began opening their store from January 31 after being closed for over a month.